The rapper dropped “Start A New Wave”, “She Don’t Call No More”, and “Sometimes” to celebrate his birthday. In the past 24 hours, iLoveMakonnen has released a total of six songs on his SoundCloud page to celebrate his upcoming 27th birthday on Tuesday. 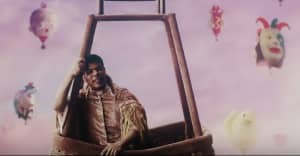 After the release of the initial three tracks yesterday, iLoveMakonnen returned today with "Start A New Wave" produced by Hyphy movement pioneer Traxamillion, "She Don't Call No More" produced by Danny Wolf, and "Sometimes" which was produced by iLoveMakonnen himself. The rapper also shared a message with fans with the last track: "this is for when u have some time for yourself and can think cry rejoice and enjoy. stay strong out there and drink more water always." Listen to all three tracks below.